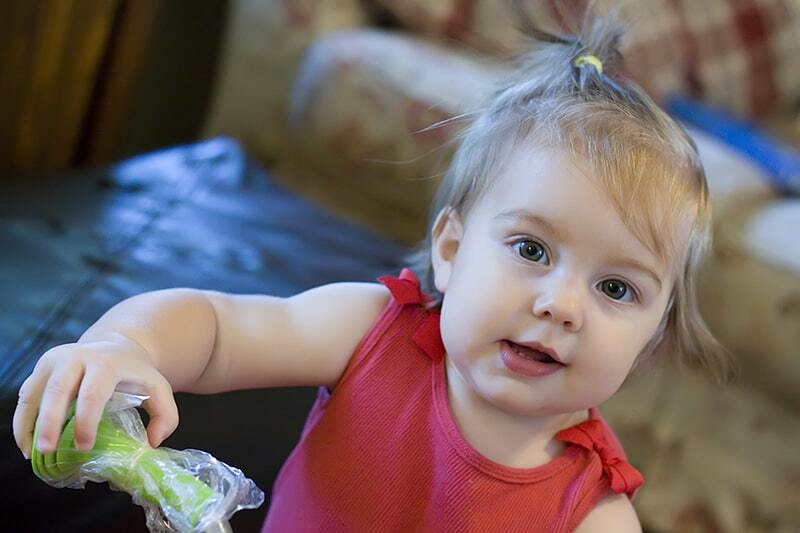 Seriously, I’m still in denial that she’s already a year old. 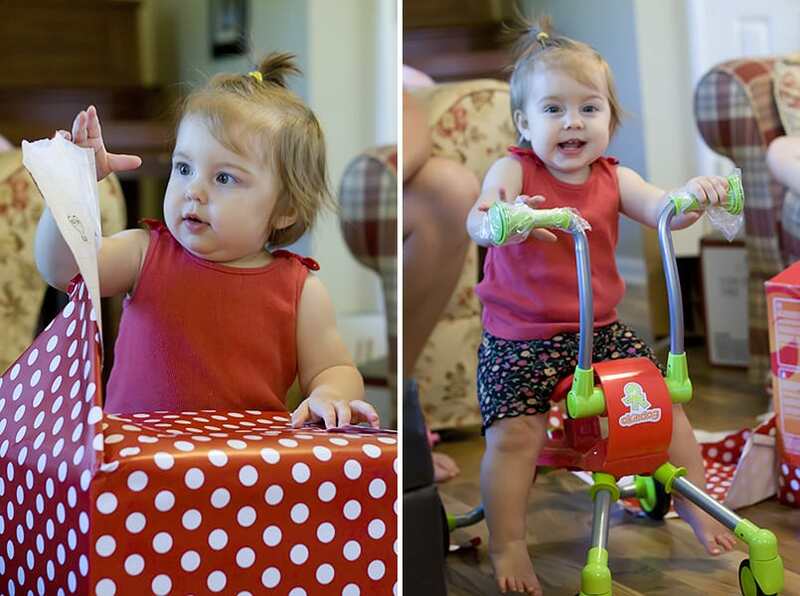 Here are the promised photos of my baby having a blast opening her birthday presents. 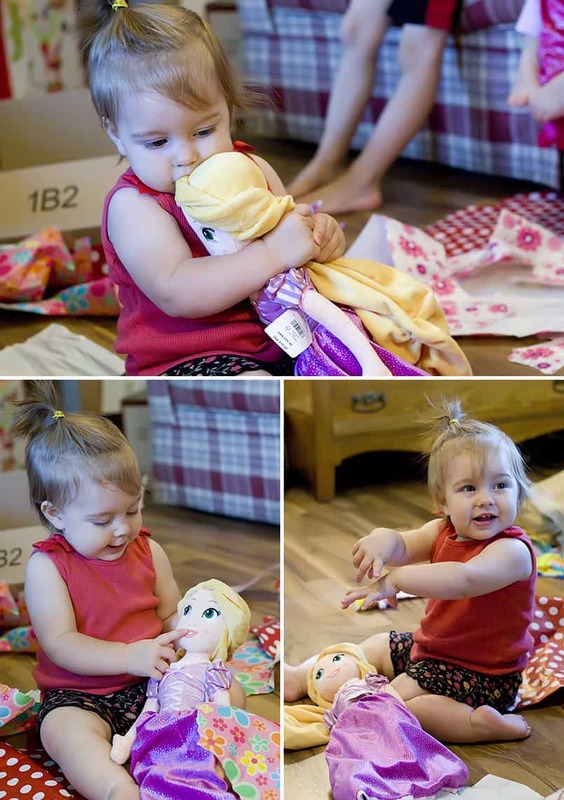 After opening each present she was content with her new prize and had no interest in opening the next present. 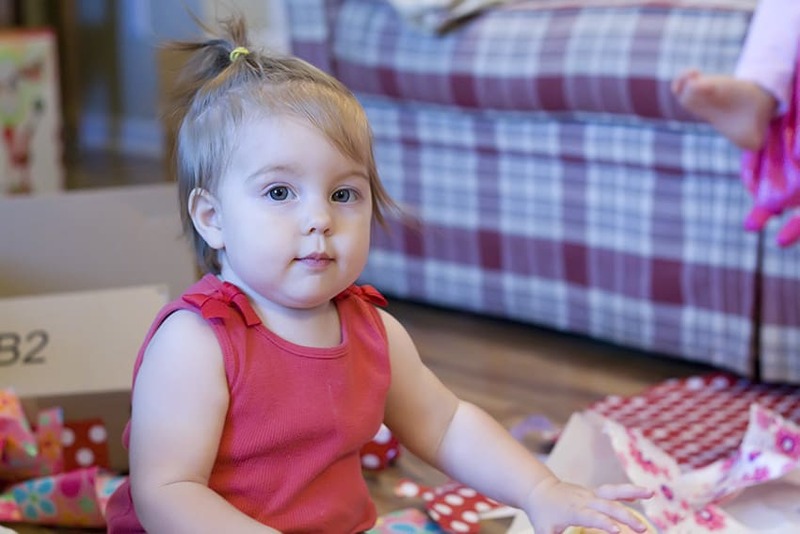 She reminded me of Rebekah, who once opened her presents for days after Christmas. If we tried to hand Emily a new present she just pushed it away; she flung a fit when we tried to push the issue. One year olds have short attention spans though, she’d get distracted, we’d whisk away the toy, and she’d suddenly be excited about opening the next present as if she’d never opened one before. Rebekah asked to spend her own money to buy Emily a princess plush doll for her birthday. At the Disney store, Rebekah choose Rapunzel for Emily (and Momma paid for the doll.) It was clearly Emily’s favorite birthday present.